Meals are great. The succulent main course that follows a great appetizer is an experience rivaled by few others, and when it's paired with an awesome drink, there's almost nothing that can top such a delightful level of mouth pleasure. Save for one challenger— the dessert. Near Renoir House on Manhattan's illustrious Upper East Side, the choices for great dessert are almost as abundant as the number of streets in the city, and most of them provide such a great selection it might be difficult to limit yourself to just a few choices. That's why we felt you might need a quick guide to familiarize yourself with everything you have at your fingertips around here. 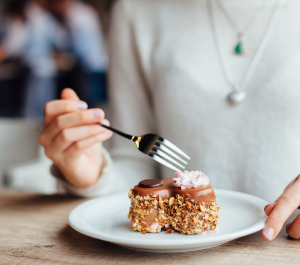 Let's take a look at a few of the amazing dessert spots that are right within walking distance of good old East 63rd Street. From casual cupcake shops to mid-range bakeries to high-end restaurants with impressive dessert fare, there's something around for just about everyone. You might well be amazed by all the choices. Just a short walk away on Lexington Avenue is Sprinkles Cupcakes. The name is indicative of their signature offering, a rotating assortment of finely crafted cupcakes, of which there are many. It'd be nearly impossible to rattle off all the choices here, but you should be well-aware that their selection covers the gamut of popular flavors and they are keen to offer up wedding-themed cupcakes, custom designs, mini-cupcakes, and just about anything else that will suit your fancy. On top of just cupcakes, though, this establishment is filled with other great dessert choices. Ice cream, cookies, and even the vaunted "Cupcake ATM," where you can obtain soft, freshly baked cupcakes 24/7. In addition, Sprinkles offers great perks to their rewards club members, so if you've got a sweet tooth that just won't quit, why not get rewarded for it? Join up and start earning all kinds of great extras to go along with your delicious dessert. Not far from Sprinkles Cupcakes, on East 62nd Street, you'll find CoolMess, the "colorful ice cream shop where customers make their own mixtures using machines at each table." Not too much explaining to do beyond that. You show up, you make ice cream, then you hang out and have a great time with other clientele while you enjoy your tasty treat. Start with a simple "base flavor" like chocolate or vanilla, then go wild with toppings to craft your own custom concoction. Oreo cookie crumbs, brownie bites, walnuts, bits of a Snickers bar—near any additive that you can think of is made available to you here, and the only limit is your own imagination. CoolMess is also a great place to hold some killer parties, of which they have several planned varieties for guests to choose from. Far from a novelty, these events actually take place with some regularity, so be sure to plan your visit in advance. When you're just looking to satisfy your nagging urge for chocolate, Jacques Torres Chocolate has you covered with an amazing variety of fine delicacies. Their location on East 57th Street offers the full array of goodness, from assorted boxed chocolates to fine chocolate bars and beyond. You can even pick up some bonbons or brittle to quell your imminent cravings. Lest you think this is some lower-tier chocolate dealer, remember that Jacques Torres has earned the title of Mr. Chocolate himself, and considered "the authority on all things related to this confectionery delight." This experience shines through the range of sweets he offers to his clientele, and you're not likely to find a finer piece of chocolate anywhere else in the city. When a dessert spot has the word "legendary" in its official description, and comes with its own Wikipedia entry, you know there's something to it. Serendipity 3 is "guilty" on both counts, and has earned their place as a top-tier dessert specialist through amazing service and amazing delectables. A view at the menu gives an idea of just how serious they are about all of their food. In particular, though, you'll likely gravitate toward the tempting sweets, and be amazed by choices like their Golden Opulence Sundae, a Guinness Book Of World Records entry for "most expensive dessert." Sure, it's the word you utter when you've made a mistake, but the great desserts here are no accident. Woops! had a clear vision when creating all of their delicious baked goods, and you'll find them at "boutique kiosks" and bakeshops all over. Like their location on 2nd Avenue. Among their choice offerings, you'll note that the custom macarons are a particular favorite. You'll find these in various flavors and can get them packaged in surprise boxes, party trays, and even stylish pyramids for just about any occasion. Insomnia Cookies Cookie specialists with an interesting twist. Insomnia Cookies is notable not only for their delicious baked goods, but for the fact that they have no qualms about delivering these directly to you late at night to satisfy your after-hour cookie cravings. The menu covers what you'd expect from cookie experts. You'll find classic chocolate chips, double chocolate chunks, snickerdoodles, and a host of other cookies along with brownies and ice cream as well. They're well-accommodating to allergies and specific nutritional requirements too, so if you have some special requests they'll do their best to fit you in. For pastries with a decidedly French theme, Eclair Bakery is here to fit the bill. You'll find eclairs (naturally) along with macarons, croissants, and a long list of other fine desserts at this artisan bakery, courtesy of head pastry chef Stéphane Pourrez himself. After you've had your fill of dessert, you can retire to the pristine residence known as Renoir House. Here, the residences are of the most elegant design, the amenities are of the highest caliber, and the location puts you right in the middle of all of the Upper East Side's best action. Check out what the complex has to offer and be amazed by how fine apartment living can truly be.